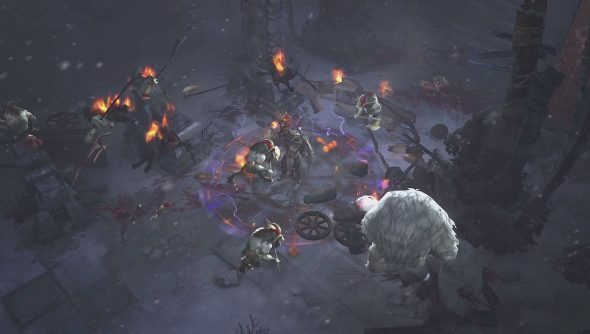 A new Diablo III patch means more lovely loot. Patch 2.3.0 is in the Public Test Realm, where you’ll be able to get your hands on a bunch of new items and gear sets. Take a look at what you can drape your heroes in by slapping your eyes on the video below. Crusaders, Monks and Witch Doctors get a brand spanking new set each, while the Witch Doctor’s Helltooth Harness gets updated along with the Wizard’s Vyr’s Amazing Arcana set. On top of that are some new and updated Legendary items for you to hunt down. With Season 4 about to begin (remember to do all you want to do in Season 3 soon), you can expect some special Seasonal Legendaries as well. There will be at least one for each class along with a Legendary gem. If you want to check out all the new gear before the update launches, you can hop in the PTR now.